College of Hospitality Administration is an associate member of Hotel and Restaurant Association of Rajasthan (HRAR). HRAR’s main objective is to promote the standards and quality of the services extended to the tourism sector of the country for integrated growth of the Industry. College of Hospitality Administration is a Skill Partner of Jagannath University for B. Voc. / Diploma (HCT – Hospitality, Catering & Tourism) under Human Resource Department, Govt. of India (Rajasthan State Level U.G.C. NAAC Accredited University) under Govt. of India. We are also associates of The Hospitality Educators and Recruiters Association (HERA). It is an organization of Hospitality educators, human resources and training professionals representing the finest Hotels and Hospitality institutions in India. The mission of the HERA is to contribute to society through the pursuit of Hospitality education, stimulate learning & development, and recruitment at the highest international levels of excellence. 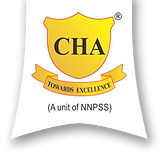 College of Hospitality Administration (CHA) is Salc of Bharathiar University. It is one of the premier university known for its excellence in education. The Bharathiar University was established at Coimbatore by the Government of Tamilnadu in February, 1982 under the provision of the Bharathiar University Act, 1981 (Act 1 of 1982). In May, 1985 the University received the recognition from University Grants Commission (UGC) New Delhi for the purpose of grants. Visit their official website for more details. Rajasthan ILD Skill University (RISU), the first Skill University of India in the Government sector has been established in Jaipur by the virtue of an ordinance passed in the State Assembly on 07.03.2017 by the Government of Rajasthan, thus fulfilling a long cherished dream of the youth of the country and adding another significant milestone in the long list of achievements in the Skill Development Sector, under the visionary leadership of Chief Minister Vasundhara Raje. After visualising the Skill University in the State Budget, 2014-15; an MoU was signed in Resurgent Rajasthan Investment Summit, Nov 2015, with Institute of Leadership Development (ILD), as an entity under Industrial Finance Corporation of India. RISU functions from a 33 acre sprawling and picturesque ILD campus, near the famous Sisodia Rani ka Bagh, Jamdoli. RISU has been conceptualised to integrate the corridors in vocational training with mainstream education, using National Skill Qualification Framework (NSQF) and strong industry linkages. The Commissioner, Skills has been appointed as the first Registrar of this university to ensure speedy take off and integration with various skilling Institutions. The courses will be of NSQF level 5 onwards (Diploma (Level 5), Advanced Diploma (Level 6) & B.Voc Courses (Level 7). Various Centres of Excellence are being affiliated with this university. Special focus shall also be laid on Training of Trainer (ToT) modules, hemmed with Life Long Learning facilities through various Skill Schools. The graduate and post graduate level apprenticeship oriented programmes, simulation and immersive techniques, expertise in emerging new age skills and collaborations with the best in the field to deliver avenues of highly employable vocations; are the hallmarks of this pioneering University. As an affiliating University, RISU plays a crucial role in developing the overall ecosystem for technical and vocational education and training the youth in the State. Establishment of RISU has created a strong enthusiasm among the employers and industries. While deeply acknowledging the priority and support CM to strengthen the foundation of skilling in Rajasthan the government has reiterated the department’s commitment to provide many more new opportunities to the youth of Rajasthan.